Call us at (972) 382-8822 today. For more information or to schedule an appointment with our Celina chiropractor, call (972) 382-8822 today! Dr. Scott Franklin is a chiropractor serving Celina and the surrounding area. Our chiropractor and the rest of the welcoming team at Bobcat Chiropractic are committed to providing chiropractic solutions to address your unique needs, whether you are experiencing back pain, neck pain, headaches, or even muscular tightness and tension. You may be searching for pain relief after an accident, experiencing an injury, or if you suffer from a specific condition like chronic back pain or a spinal condition. Even if you looking to improve your overall health, our chiropractor can help you attain your everyday wellness goals! Visit our testimonials page to find out what our patients are saying about our Celina chiropractor and our chiropractic care plans. Bobcat Chiropractic is the only chiropractic office in the area with Digital X-Rays, It is like seeing your xrays in HD (high definition), making it safer and easier to locate your problem areas. 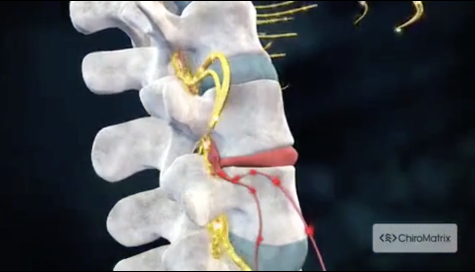 Our office also has True Decompression Traction used in the non-surgical treatment of neck and low back bulging or degenerating discs; which in many cases may alleviate the need for surgery. We use Manual and Computerized adjusting techniques with Advanced Cold Laser therapy, E-Stim, & manual massage. At your first visit to Bobcat Chiropractic, Dr. Scott Franklin will explain how chiropractic care works and give you a full evaluation to see if our chiropractic solutions are a good fit to address your needs. If there is a good fit, we can customize a plan of chiropractic care for your condition and health goals. If you have not been to a chiropractor before and want to find out more, please email us or call (972) 382-8822 to receive the answers to your questions from our experienced team. We also welcome referrals, so we invite you to share our chiropractic and wellness information with your friends and loved ones. "Dr. Franklin is the best!!! I've had neck and lower back pain. I was scared to try chiropractic but i finally decided to go. Dr. Franklin had me feeling so much better in only a few visits... It's incredible!! Thank you, Dr. Franklin!!" "When our daughter was first diagnosed with scoliosis it was a very scary time. Her Orthopedic Surgeon painted a grim picture. You gave us other options and thanks to your immense help and our diligence, she is no longer afflicted with scoliosis. Her surgeon is amazed at the recovery."